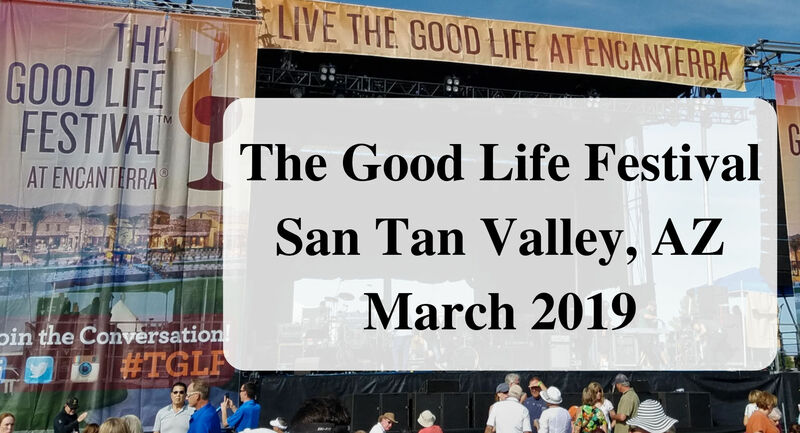 The Good Life Festival March 2019 event was held in San Tan Valley, Arizona with amazing acts such as Three Dog Night and Creedence Clearwater Revisited. Come along and relive the concert with us. There were multiple entrances to the venue. The general public line was long of course. 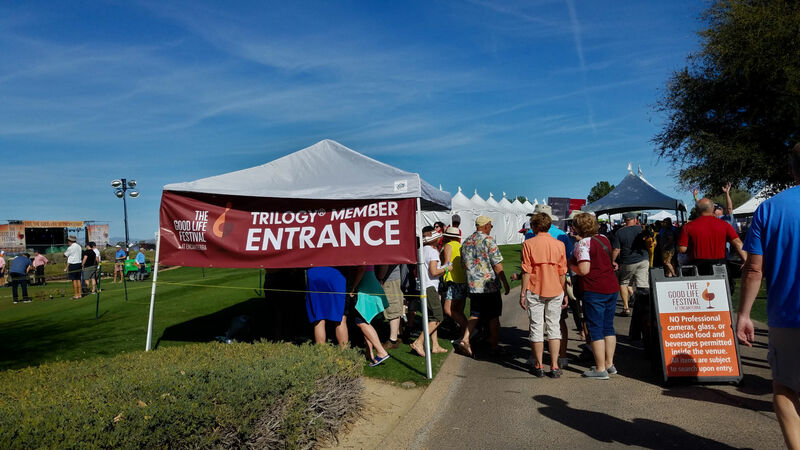 The tip was to know someone to get into the Trilogy Entrance, which we did, thank goodness. That line was much faster. The venue had Wine and Beer Tastings. You received a special passport which allowed you to visit many different sampling stations. The wine glass came with a holder that looked like a lanyard, very creative. There were so many great vendors. 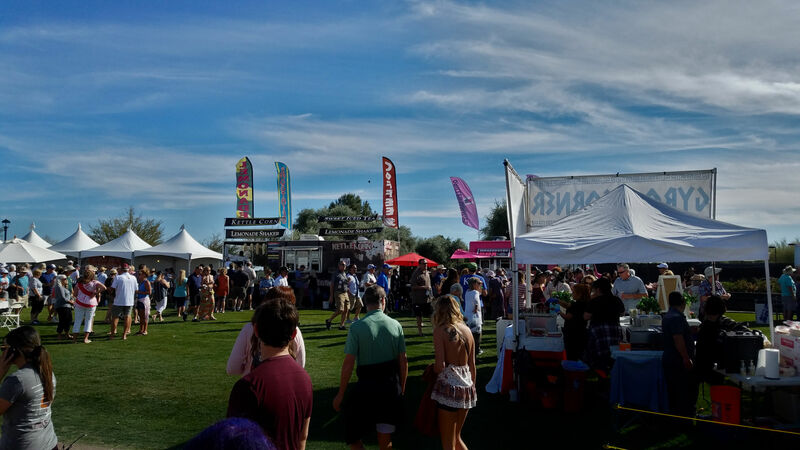 If you were hungry there were many food trucks to choose from. If you were in the mood to purchase clothes to lawn ornaments, those were there too. We headed over to the spa booth and had a neck/back massage. It was great! These guys were entertaining. The two lead singers were very animated and telling stories to the crowd. They shared that the band has been together for 51 years. One of the lead singers is 76 years young, he said. 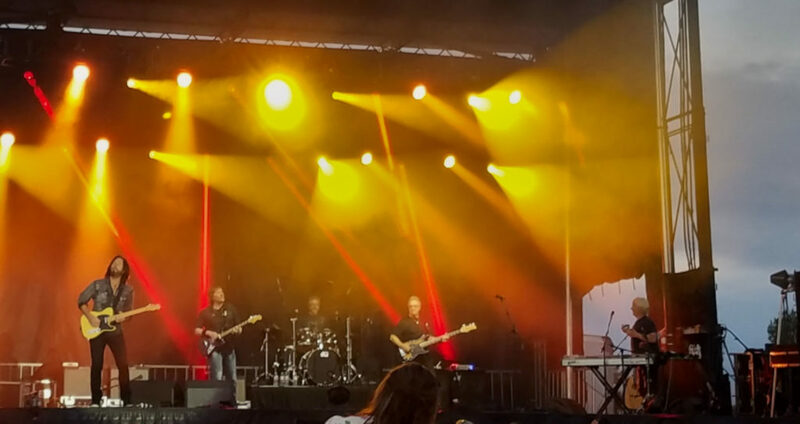 While the other lead singer shared that his driver’s license has a list of organs on the back that he needs. So very funny and causing the crowd the laugh. Towards the end of their set, they sang a new song that will be on their next album. They have not made a new album in over 30 years, they mentioned. The drummer and the bass guitar are the remaining original band. They became friends when they were 13 years old. They have been playing together for 60 years. It is great to have friendships that last a lifetime. The rest of the band players did a wonderful job. 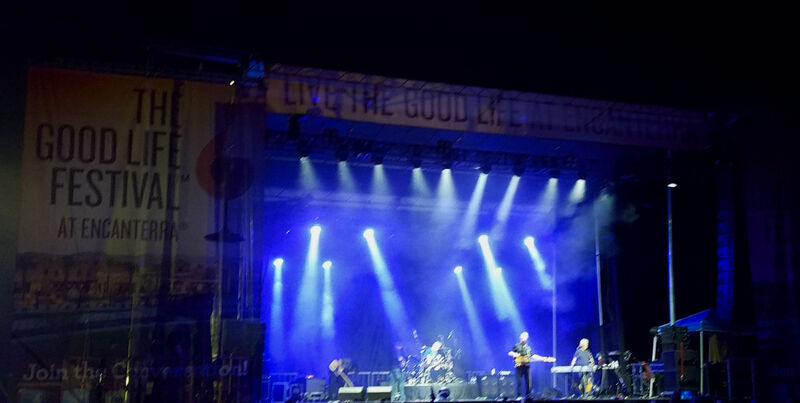 The band had the crowd on their feet and singing along to Born on the Bayou when they open up the set. 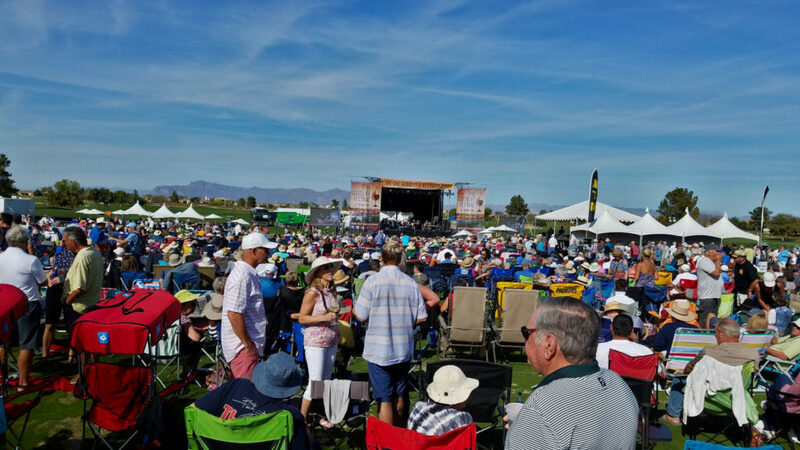 Have you attended an all-day outdoor concert? If yes, what acts did you get to see? If not, who would you want to see? playing. It was a great concert. Can’t wait til next year. I’ve never been to an all day concert, looks like fun! Looks like a great time! I love festivals. I like how festivals bring people together to just chill and relax. Adulting can be too boring sometimes with so many responsibilities, nice to take a break! That does look like the good life! Great music and friends. Love it. Yes, love great music and friends. Guest what, Three Dog Night announced they are coming out with a new record after 30 years. They played a song form the album for us. Never been to a festival. But, now I want to! Yes, do attend a festival when you can. My son would love to see CCR! He’s getting into all the classic rock bands right now. This looks like a fun festival. Is it at the end of March every year? They usually host 2-3 bands a year in the spring. However, that is the last concert with 5000 plus people. They are out of parking space. I haven’t heard of this feast before! It sounds really cool. Maybe next year I’ll plan my visit to my dad around this and check it out! Unfortunately, they announced this would be the last concert. They have been hosting it for many years and they are running out of parking space because the area has filled in with new homes. This music brings me right back to my early high school days! How fun! Yes, I enjoyed listening to all the people in the area singing along. You guys find so many fun things to do!! I love following along!! Thank you. We enjoy following your adventures too. Three Dog Night was fantastic. We have an Art Wine Festival in my area, love spending the day listening to live music. This looks like a fun day! 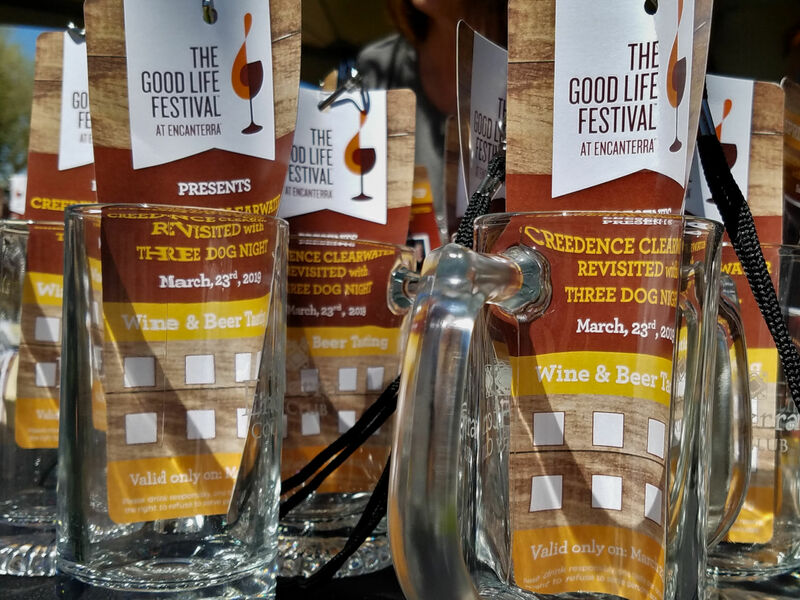 An Art Wine Festival would be awesome to attend. Thank you for sharing. Looks like it was tons if fun! It was tons of fun. Great music and wonderful weather. Wow, I can’t even imagine seeing both CCR and Three Dog Night. What a great line-up. Looks like a lot of fun! Yes, both groups were fantastic. Correct, the music and activities were fun. 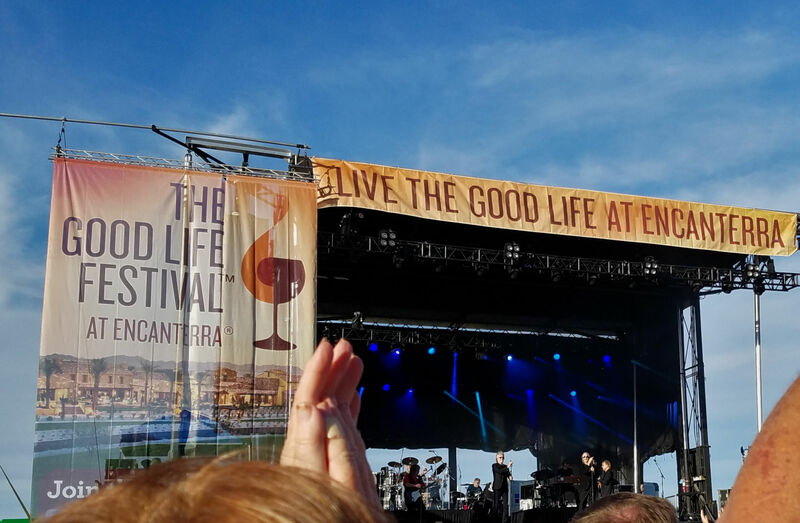 What a great festival! Looks like they had something for everyone!